We spent lots of time together this week, well technically we spend all our time together except when shes asleep in her cot. We read together, watch cartoons together, dance together, go to the shops together and play together. This week we also spent time together drawing with the boys at mothers group, playing at the play centre and exploring the beach. 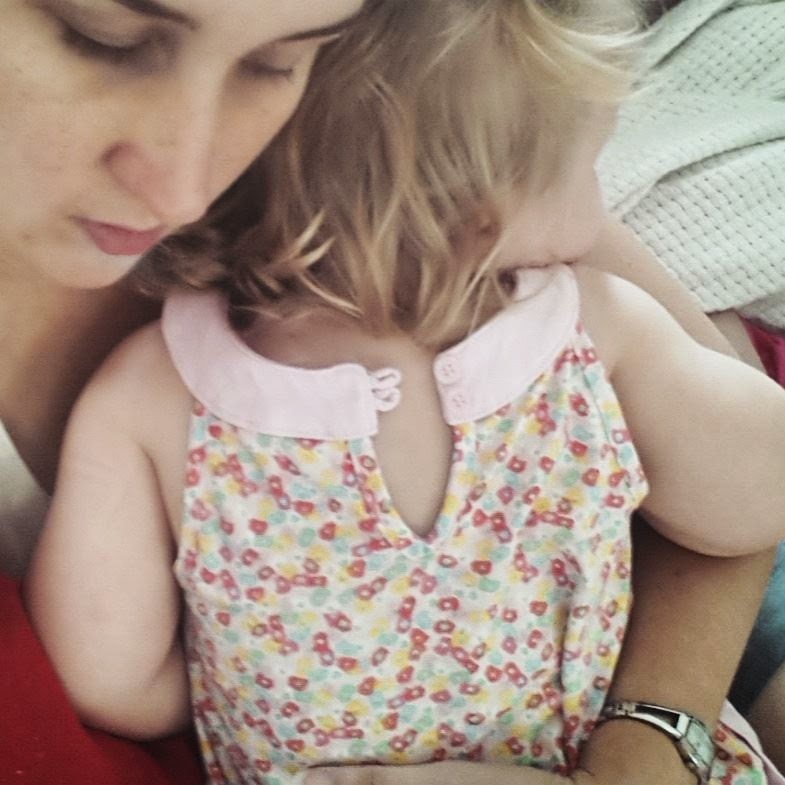 Yesterday we spent most of the day snuggling together on the couch because bub has a snotty nose and doesn't feel too well (courtesy of the play centre I bet). Reminder - next weeks prompt is bed time. Just applied to join the Facebook group and have linked up today's blog post. I'm going to struggle with next week's prompt. Considering it's 4am and I'm just heading to bed. Not sure anyone really wants to see a picture of my poor sleeping habits. Hmm will have to put the thinking cap on. I love this dress so much but she's starting to grow out of it (hence why its unbuttoned at the back). Dreading sickness here. It is nice to get snuggles though! The snuggles are nice, the screaming frustrated toddler not so much. How fun - think I might have to join up! Gorgeous Toni. I have been attempting to have a go at this, not doing a very good job. The weeks seem to go past so bloomin fast! Tell me about it, its freaking me out that we're up to week 4 already! Such precious times - together.